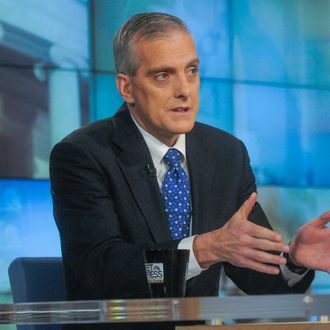 During an interview on Sunday morning with ABC’s George Stephanopoulos, White House chief of staff Denis McDonough casually revealed the previously unknown first name of a woman being held hostage by ISIS. Oops? Maybe this was all a purposeful ploy to plant the wrong name out there? If so, the National Security Council is playing it pretty cool. ““We don’t have anything to add, other than to request again that you not use the name of the individual,” a spokesperson told Politico.